Jean-Claude Ellena, the current Hermès nose, is a creator of an amazing range of fragrances, from elegant Van Cleef & Arpels First and vivid Balenciaga Rumba to ethereal The Different Company Divine Bergamote. Here is an excerpt from one his interviews, in which he discusses the materials he loves. parislondres: Interesting comparison to works of Pierre Soulages whom I have admired for many years. mreenymo: Salty and bitter? Huh? Which of his fragrances is he talking about, V? :):) Maybe he means that he prefers popcorn to candy when he goes to the movies. LOL! I still love him and his creations. I can’t wait until Osmanthe Yunnan debuts. I might purchase it unsniffed! BoisdeJasmin: Tania, you really need to try Rumba, which is very interesting. First is an embodiment of elegance, aldehydes over a beautiful floral bouquet. BoisdeJasmin: LOL! Yes, it is animalic and rather rich. BoisdeJasmin: R, lol! I think that Divine Bergamote and Cologne Bigarrade could be termed as salty. Lately, many of his creations have a definite sweet edge. BoisdeJasmin: T, interesting observation. 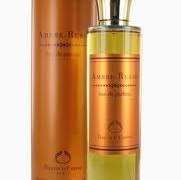 Ambre Narguile has an element as a part of its composition that I envision as a cloud of vapour rising above a plate of freshly baked baklava. It is such a beautifully done fragrance (although Vetiver Tonka is something I reach for more often).